Merritt Island Location - NOW OPEN! We are pleased to announce that our 9th location in Merritt Island, is now open. NEW Melbourne Location - COMING SOON! We continue to expand! Our 10th location in Brevard, is scheduled to open in MAY. Please visit any of our 9 locations to receive your flu shot. On-Site Prescription Medicine Dispensary, Now Available. MedFast Urgent Care now offers on-site dispensing for prescriptions as an affordable and convenient option, after your visit. We carry a variety of anitbiotics, steroids, anti-virals, and more. All available medications are $15.00. Please contact any of our clinics for more information. 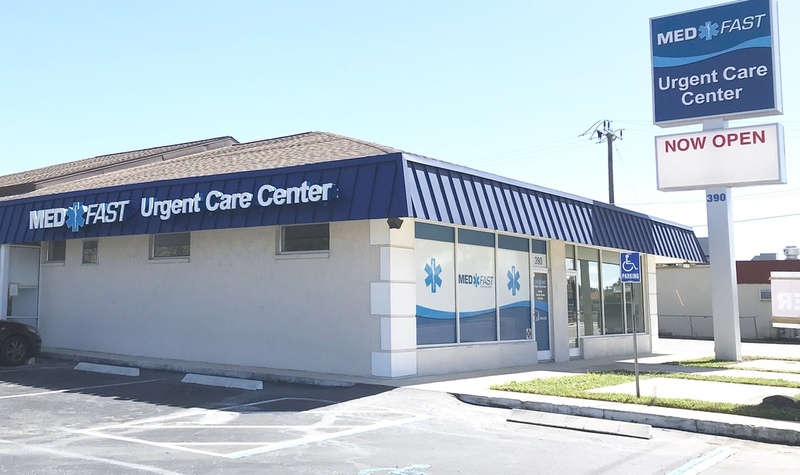 Melbourne, FL Urgent Care is Open 7 Days a Week! Professional Urgent Healthcare, Without The Long Wait! Almost everyone at one time or another, has ended up visiting a hospital emergency room for treatment of a minor emergency. In most ER's the experience is one of frustratingly long wait times to be seen, sometimes taking up to five or six hours in some busy ER's. On top of that, there are the extremely high costs associated with hospital ER visits. This situation has led to the recent development of medical Urgent Care Clinics as a sensible alternative for minor emergencies and other needs, such as physicals and lab work. Our doctors, nurses and physicians treat most patients in less than an hour. Medfast Urgent Care Centers were established to serve these needs. 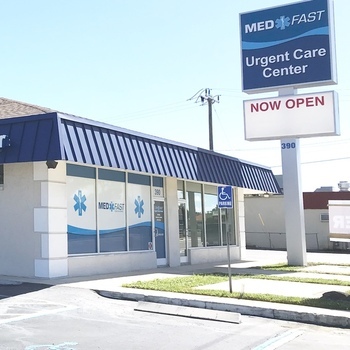 All Medfast Urgent Care Centers are professionally staffed and fully equipped to deal with any minor emergency, but much more quickly and conveniently. In fact, the doctors, nurses and physicians at our urgent care walk-in clinics see and treat most patients in less than an hour. All of this is provided in an environment where you will always feel you receive personal care and attention. Treating our patients with an above average level of respect and care is of the highest importance to our doctors and staff at our Urgent Care Centers. We understand how frustrating it can be to wait all those hours at the ER only to have the doctor finally see you, and spend five minutes or less with you. Our doctors truly care, and take the necessary amount of time to assess your situation as quickly as possible to ensure proper treatment that lets you know you are cared for. Because we have much lower overhead than huge hospitals, Medfast is less expensive than hospital emergency rooms. You really can beat the high cost of healthcare at Medfast Urgent Care Medical Centers. As one of our patients you get your money's worth for visits, tests, and procedures. Our Medical Centers are well equipped and prepared to handle a wide variety of minor emergencies and non-life-threatening illnesses. We offer laboratory testing on site, along with x-ray, urinalysis, EKG's and Respiratory Testing. No need to go to the ER and suffer through those dreadful wait times, let our doctors care for you in your time of critical need. Our centers also are equipped to handle a variety of minor procedures on site. When you have a minor emergency, work related injury, or simply need a physical, MedFast Urgent Care Clinics will suit your needs quickly, professionally and affordability. Medfast Urgent Care Centers can save you valuable time and money. Our goal is to provide affordable, professional urgent healthcare. With our convenient hours, there's no need to leave work early or arrive late because of a doctor appointment. So call or come in today to a location nearest you, we have multiple facilities throughout Brevard County. Why Come To MedFast Urgent Care?